As mentioned in my last post, I was recently lucky enough to see Kate Bush 'Before The Dawn'. 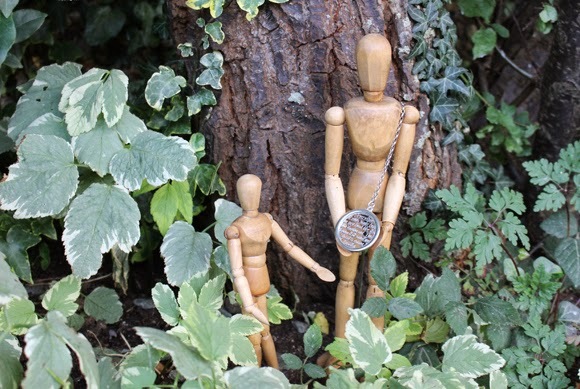 It was such a special, one-off event that fell the day after my birthday, so my boyfriend treated me to this beautiful silver pendant at the show - as you can see above modeled by our two antique artist's dolls (inspired by the show). Below you can see it in more detail, along with another special item I picked up at the show . . . 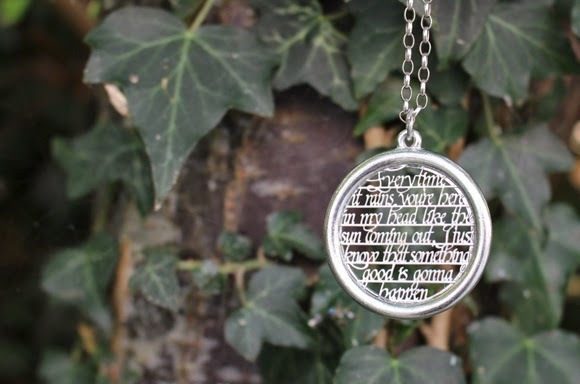 Above: The silver pendant features lyrics from Cloudbusting laser-cut into it in a beautiful font. 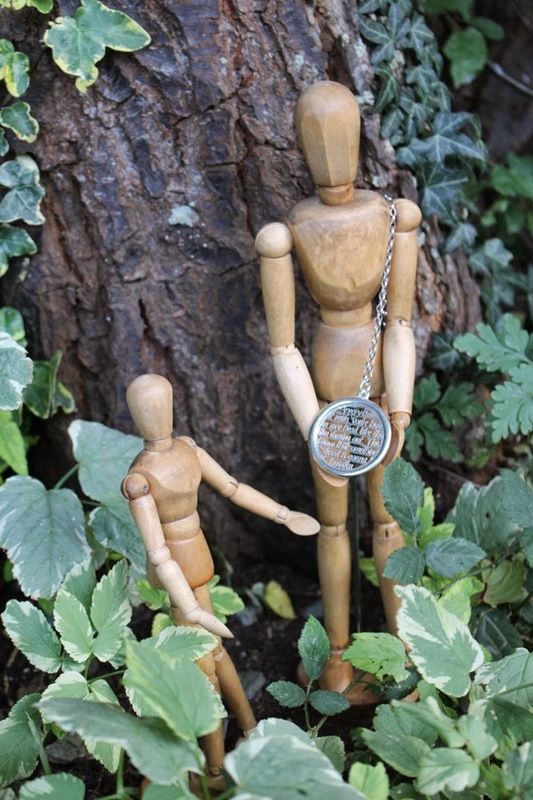 I felt the chain it came on was too short and chunky, so have changed it for a longer, belcher chain which I feel suits the pendant (and me) much better. The lyrics read: Everytime it rains you're here in my head, like the sun coming out, I just know that something good is gonna happen. This is such a special item as it will always remind me of that wonderful night. 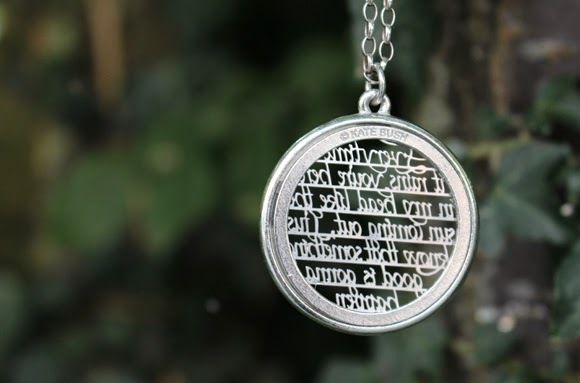 Above: The back of the necklace is stamped with (C) Kate Bush. 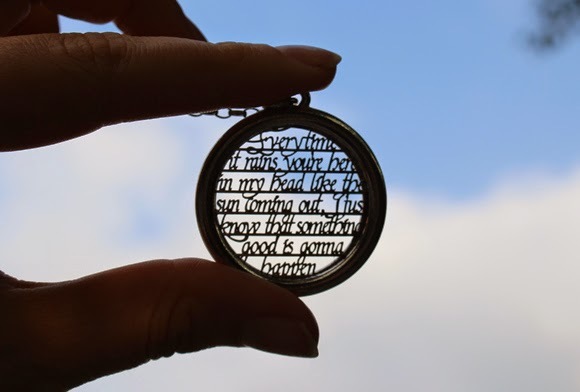 Above: Cloudbusting pendant in silhouette. 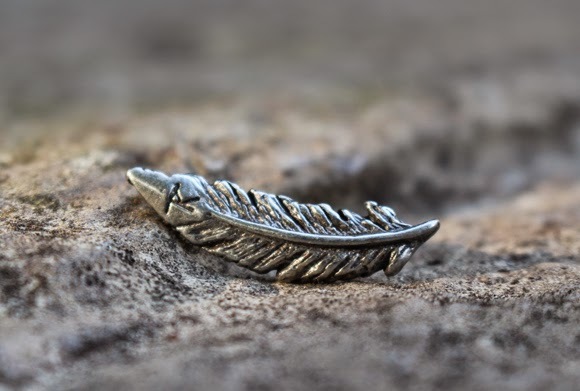 Above: Silver feather pin stamped with the KT Fellowship symbol. Another special item and one I will treasure forever. The feather motif relates to the latter part of the show during which Kate Bush performed An Endless Sky of Honey from Aerial - which is largely inspired by birds and birdsong. Read more about my experience of Kate Bush - Before The Dawn by clicking here.